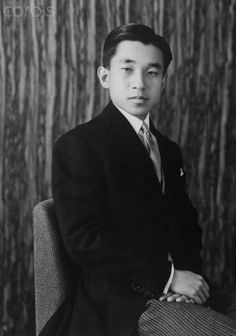 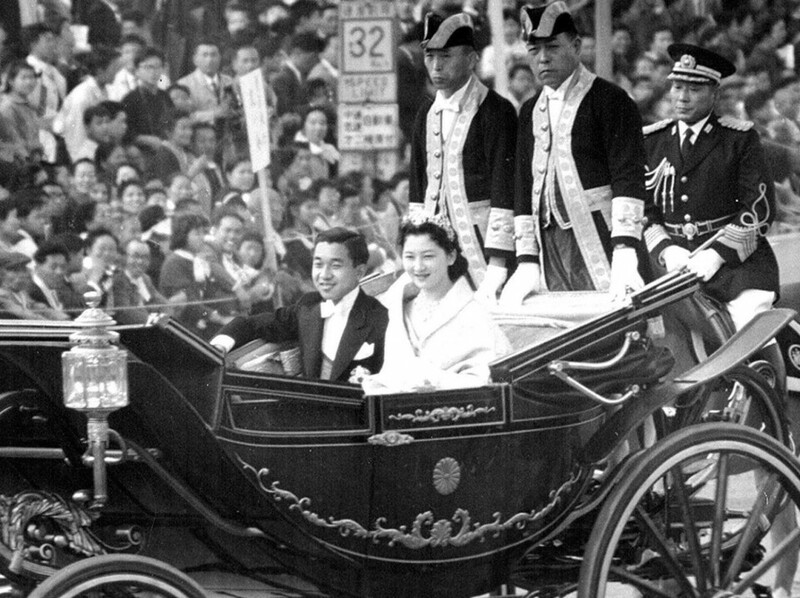 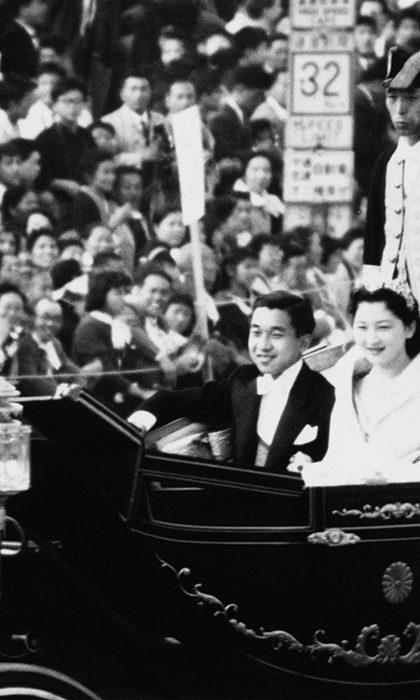 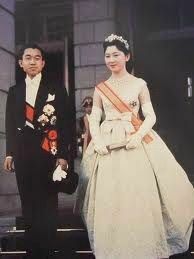 Crown Prince Akihito on his wedding day, April 10, 1959. 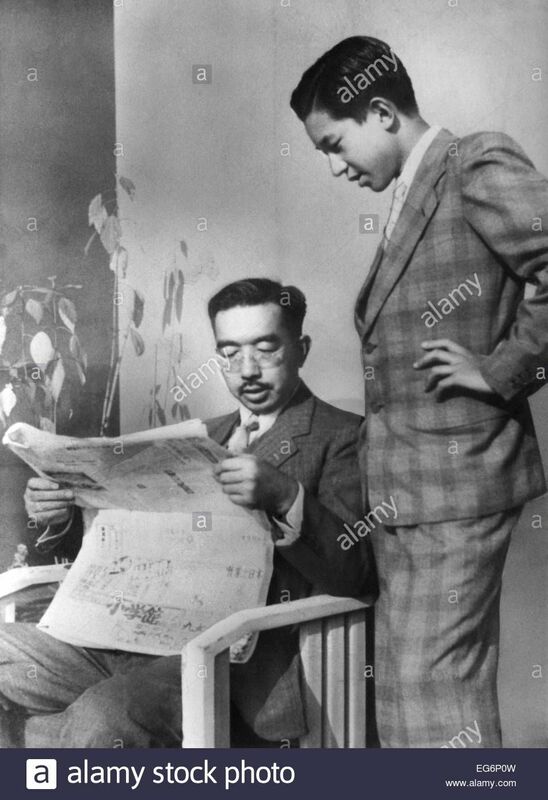 Emperor Hirohito and his son, Crown Prince Akihito. 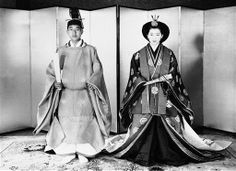 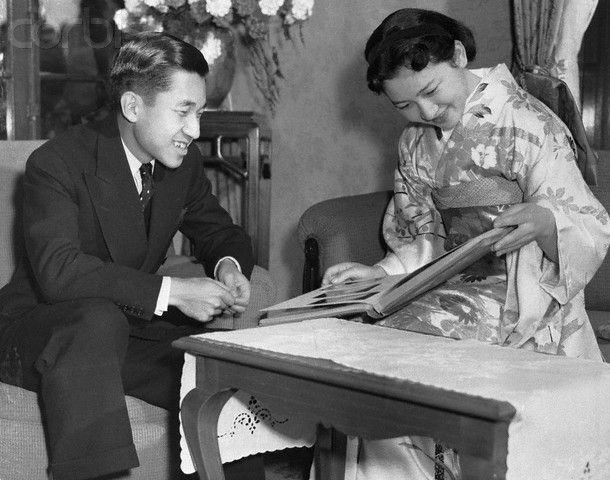 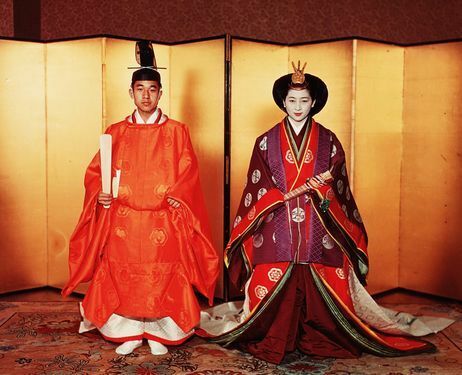 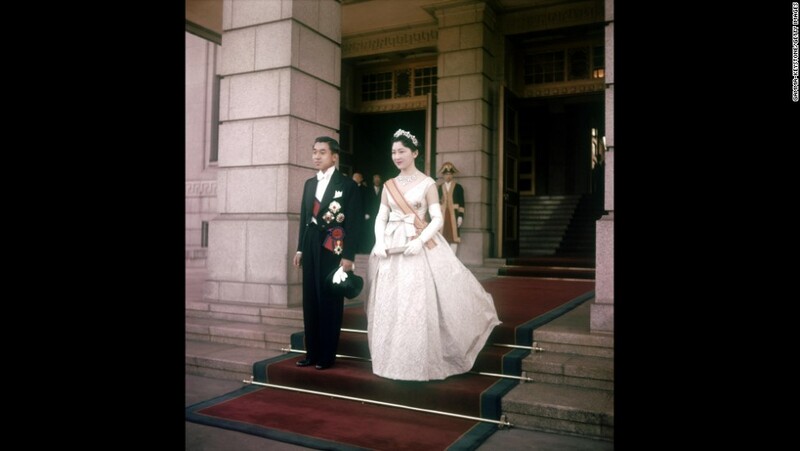 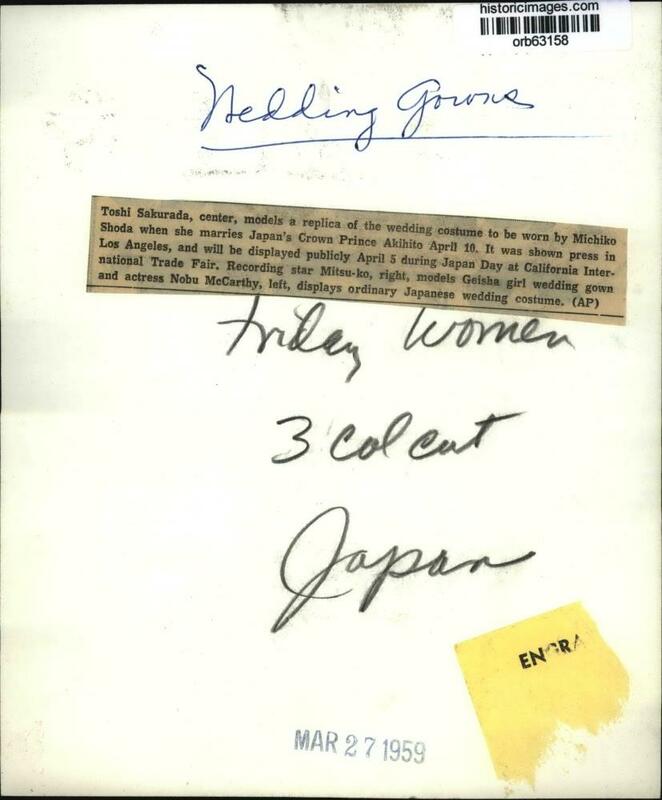 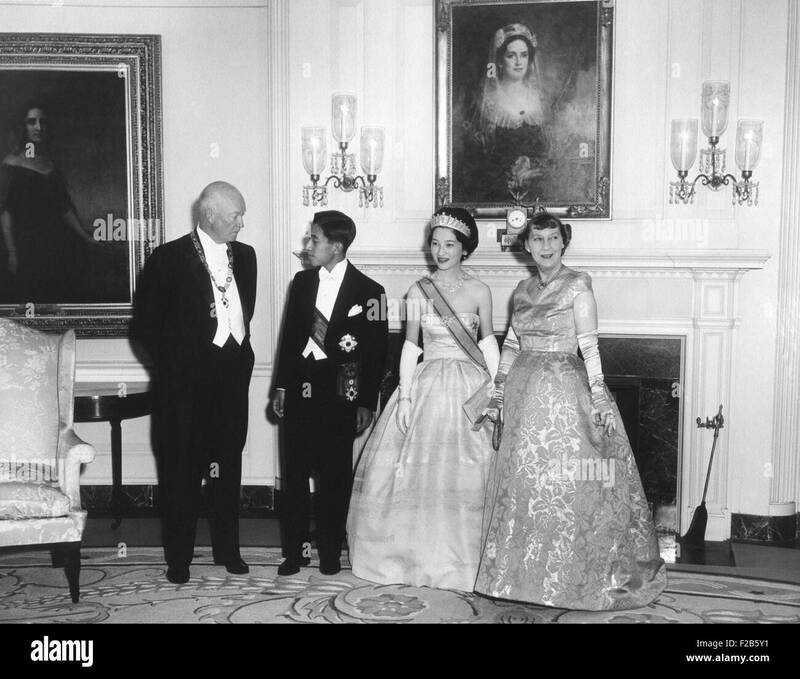 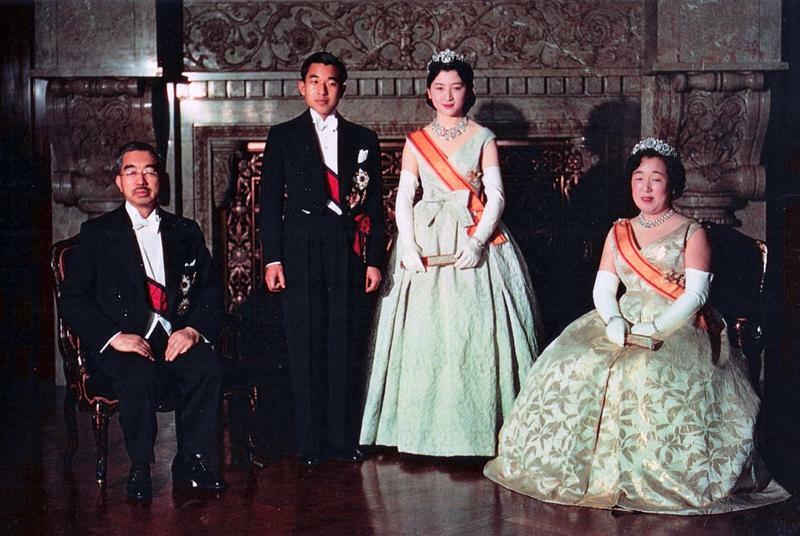 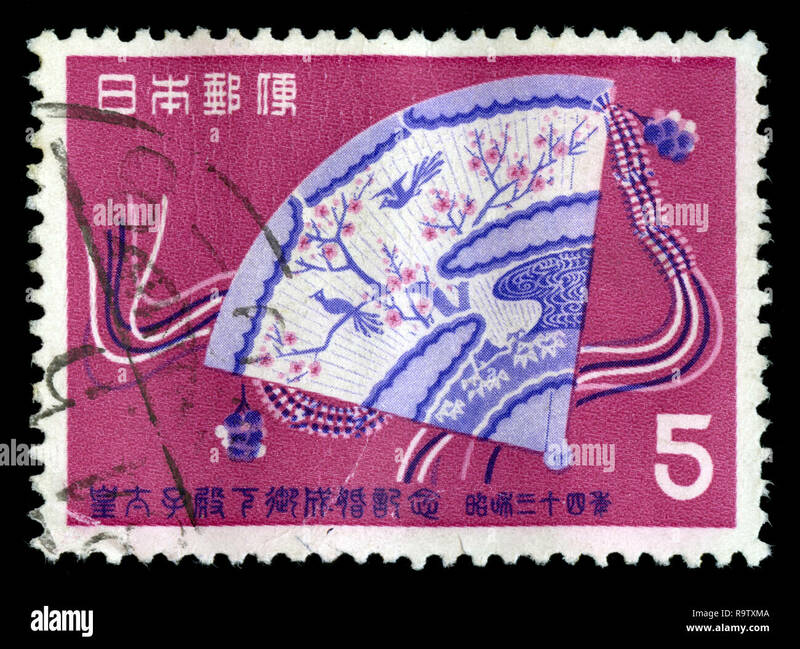 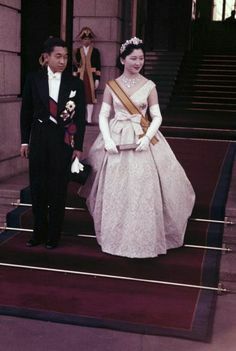 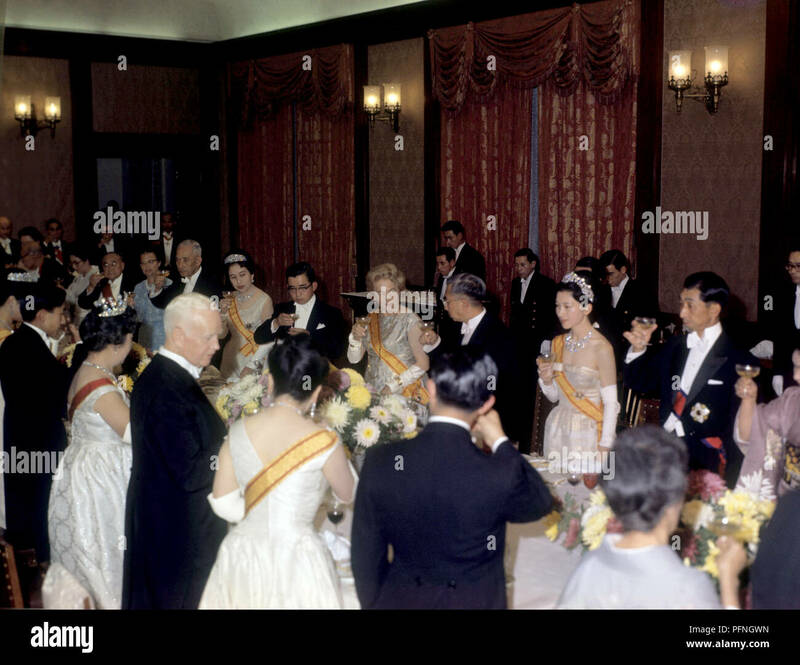 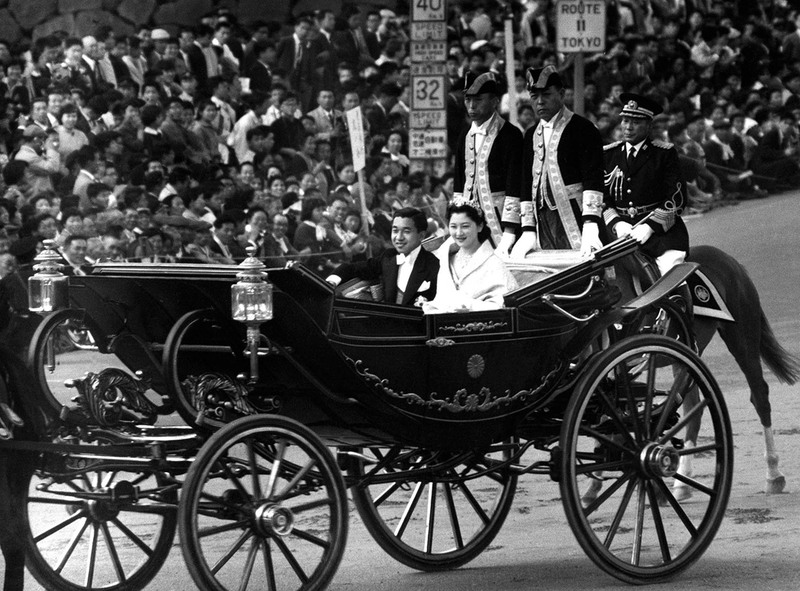 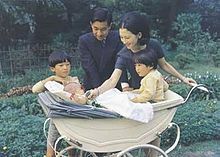 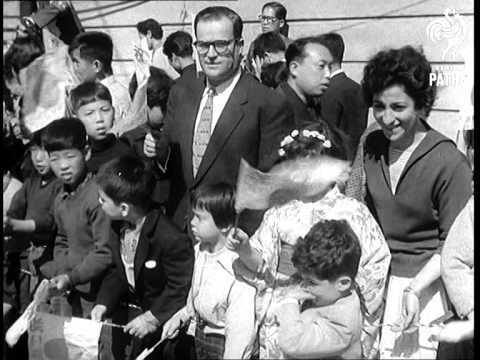 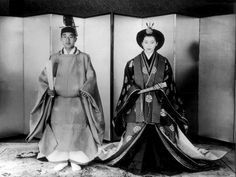 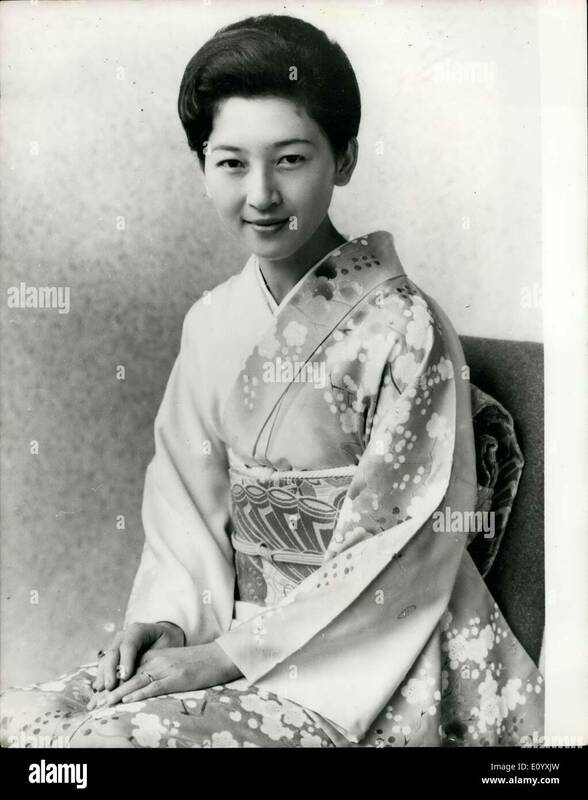 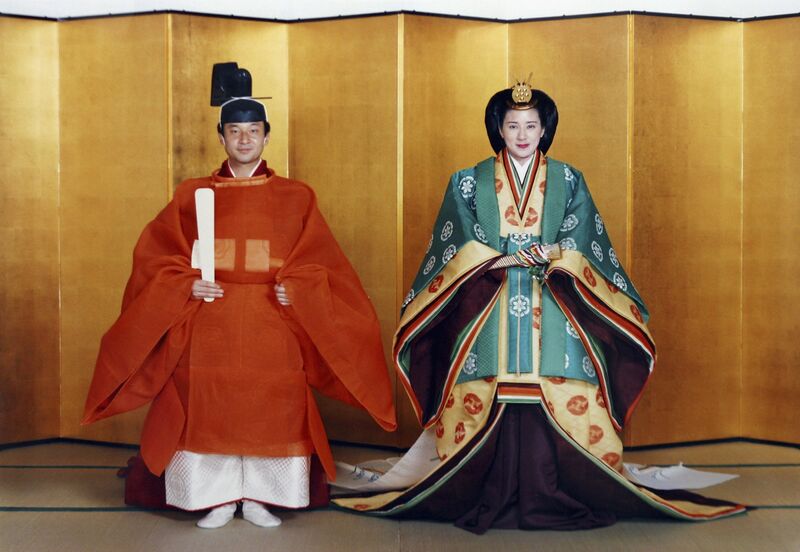 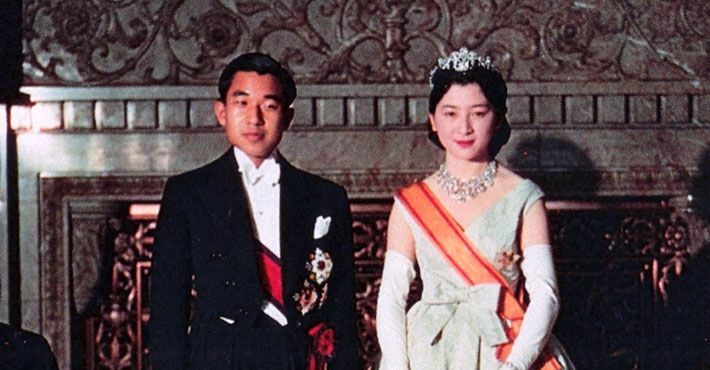 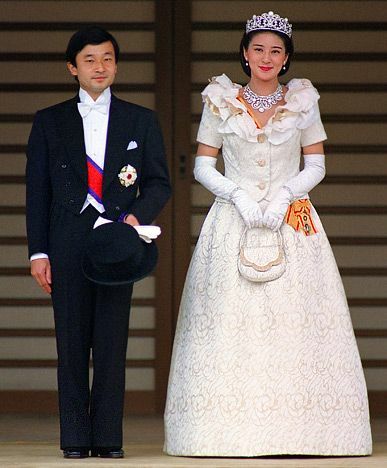 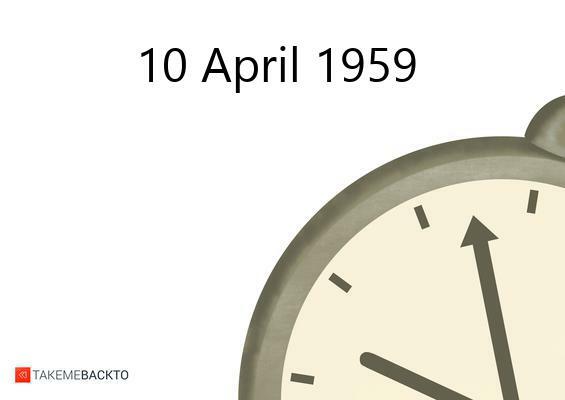 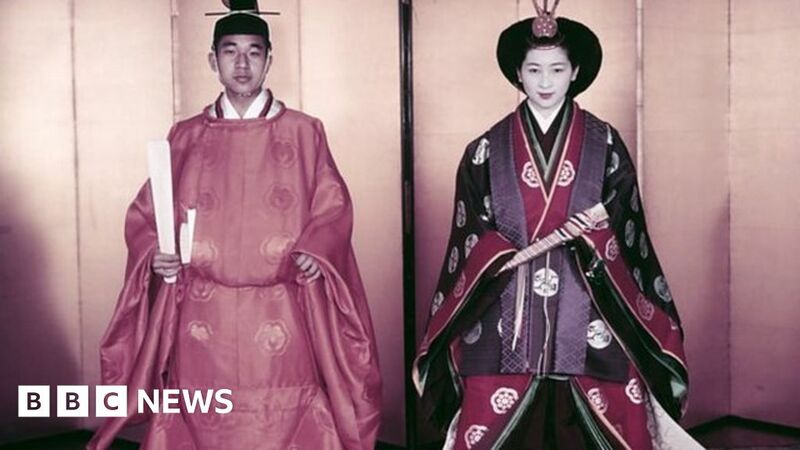 April 10, 1959 -- Marries Michiko Shoda, becoming the first crown prince, and later the first emperor, to be married to a commoner. 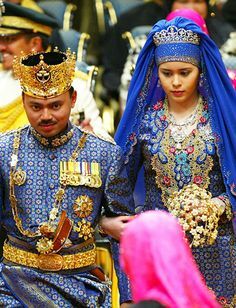 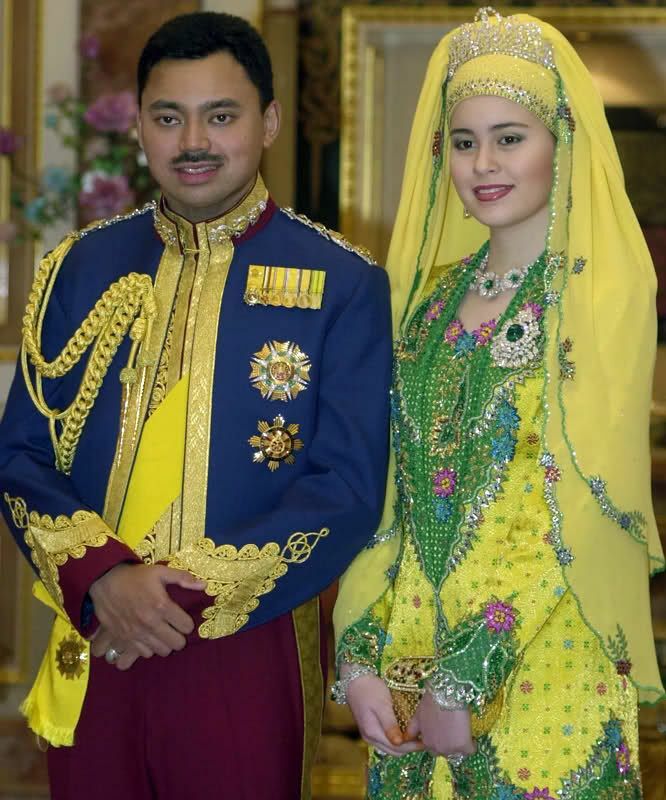 Crown Prince Al-Muhtadee Billah and his new bride Sarah Salleh are pictured at a royal banquet in honor of their marriage on September 10, 2004. 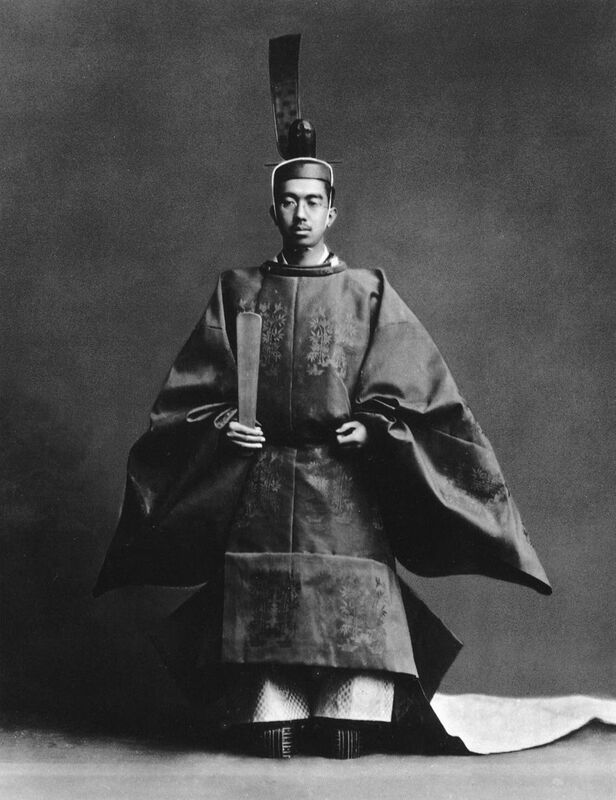 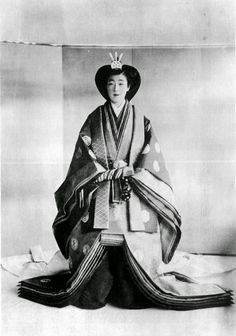 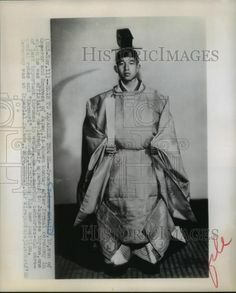 Emperor Shōwa of Japan after his enthronement ceremony, 1928. 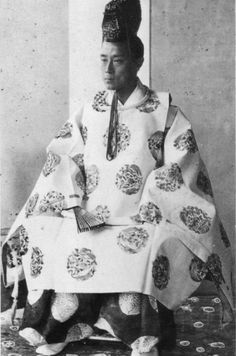 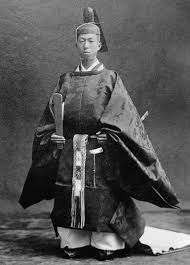 Prince Mikasa, an Imperial Army veteran who became a pacifist, was the uncle of the current emperor and fifth in line to the throne. 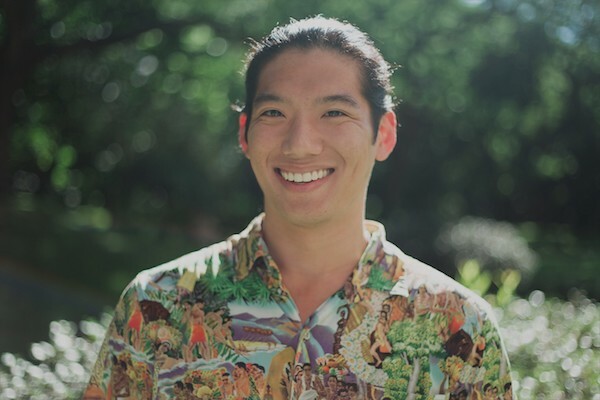 Pictured: Robert Oda, whose work being supervised at JABSOM has earned him a scholarship named after Japan's emperor. 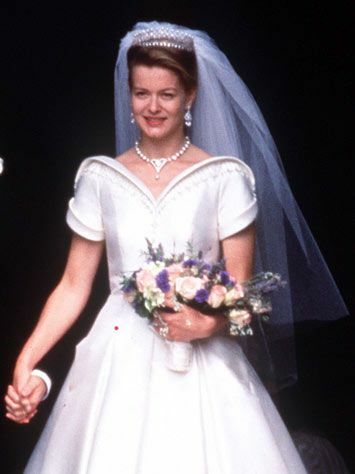 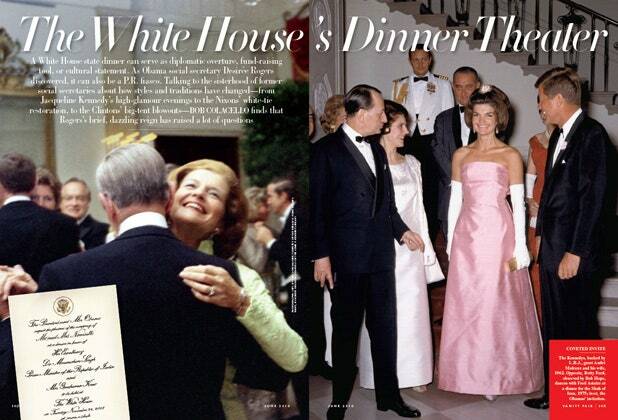 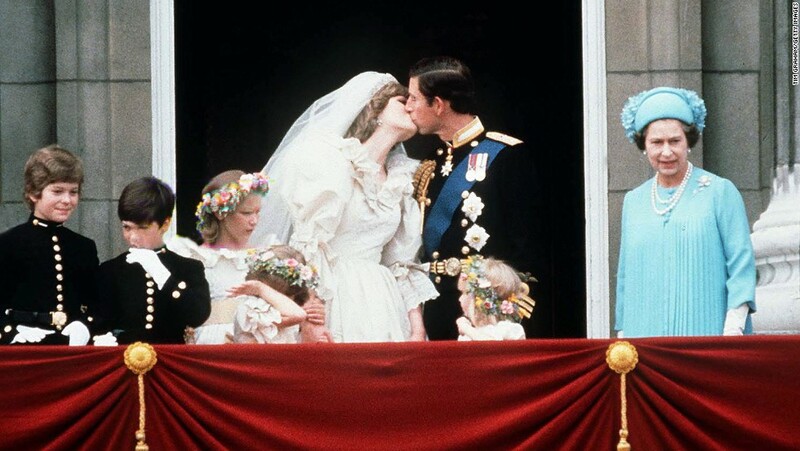 Lady Helen Taylor on her wedding day wearing the Kent Pearl and Diamond Fringe tiara. 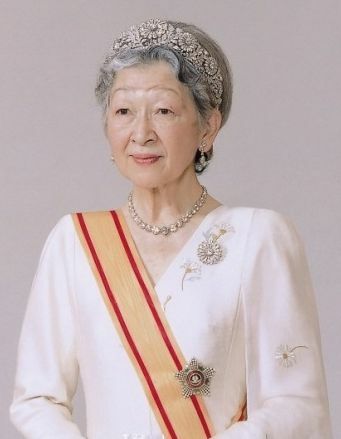 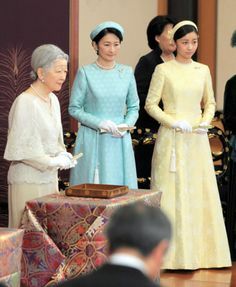 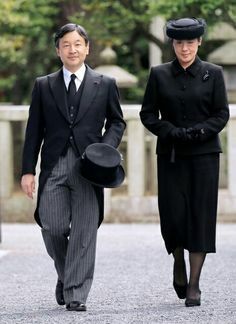 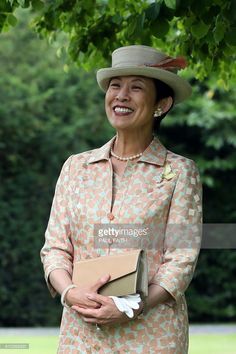 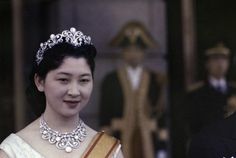 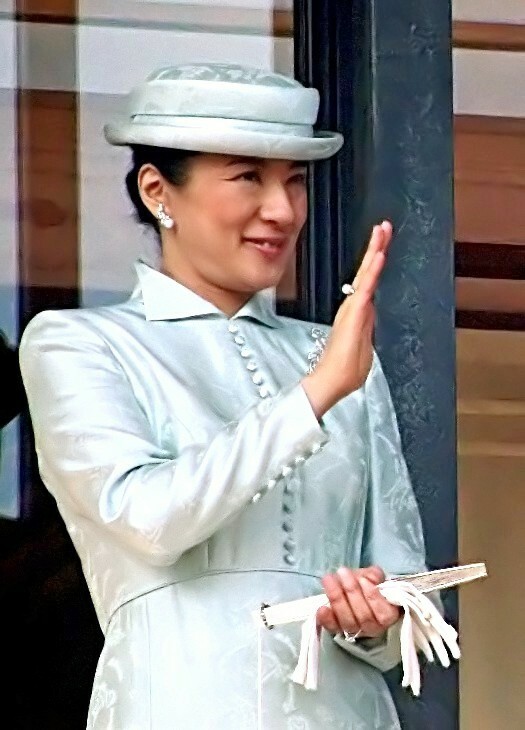 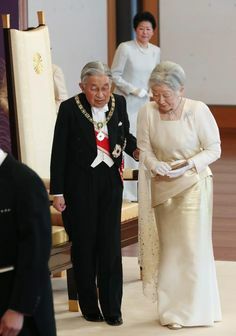 Empress Michiko, Empress consort of Emperor Akihito, wearing the Japanese Honeysuckle Tiara, Japan (diamonds). 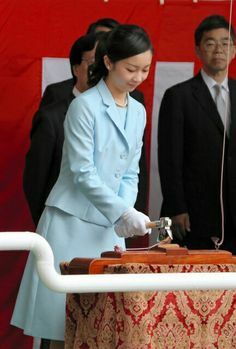 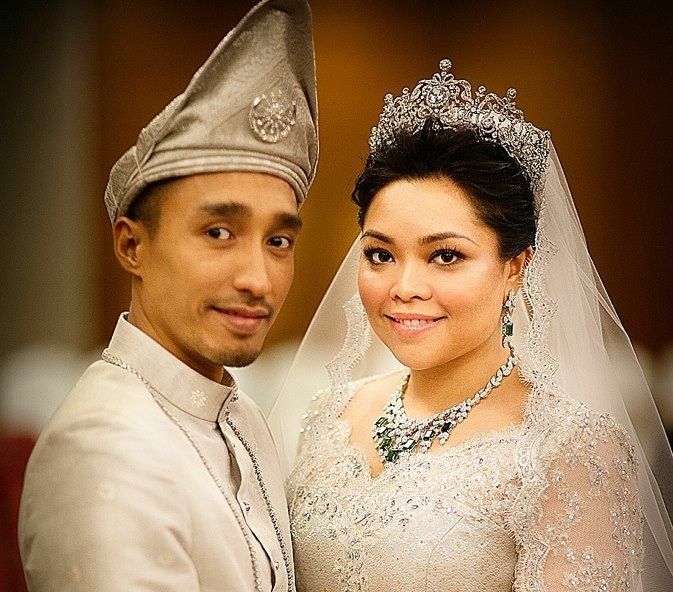 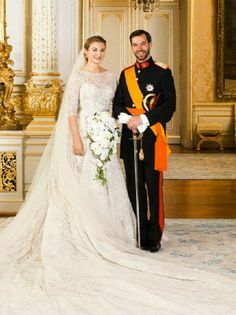 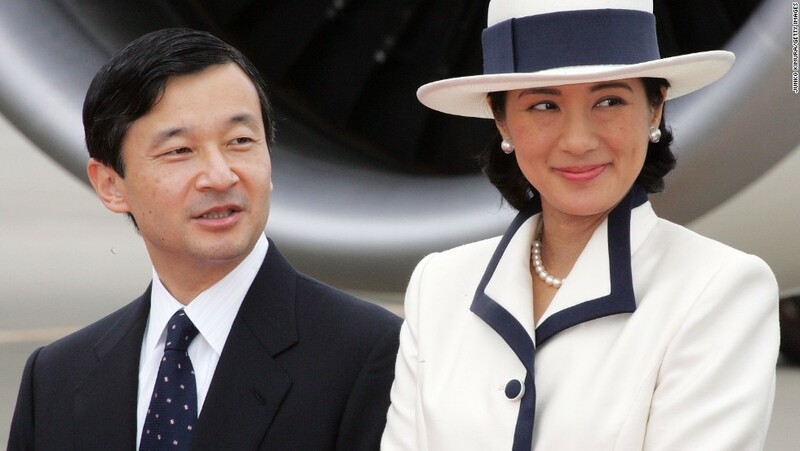 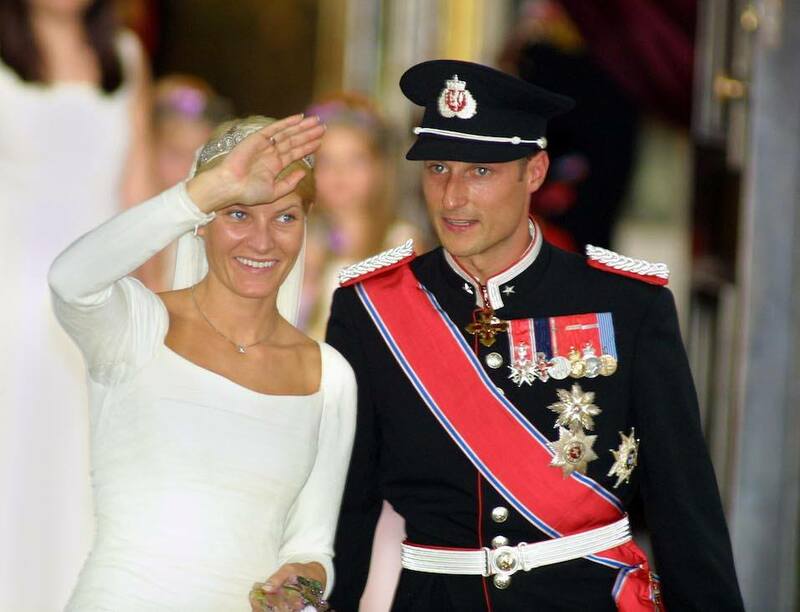 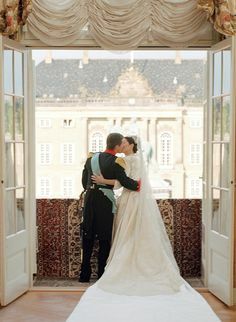 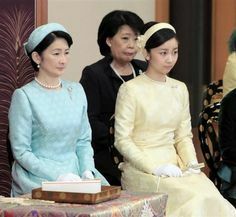 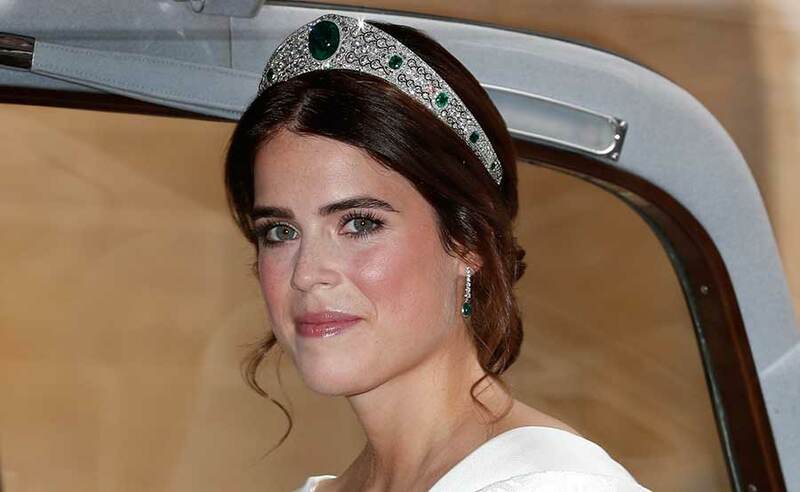 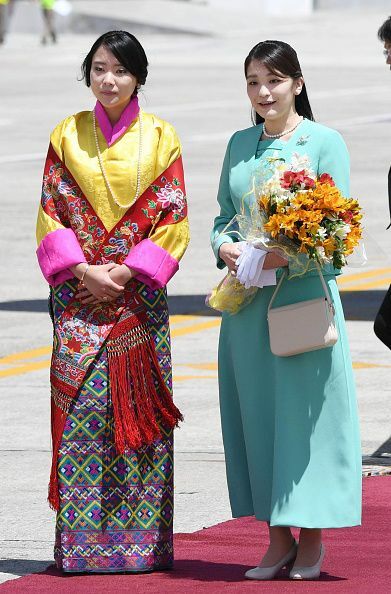 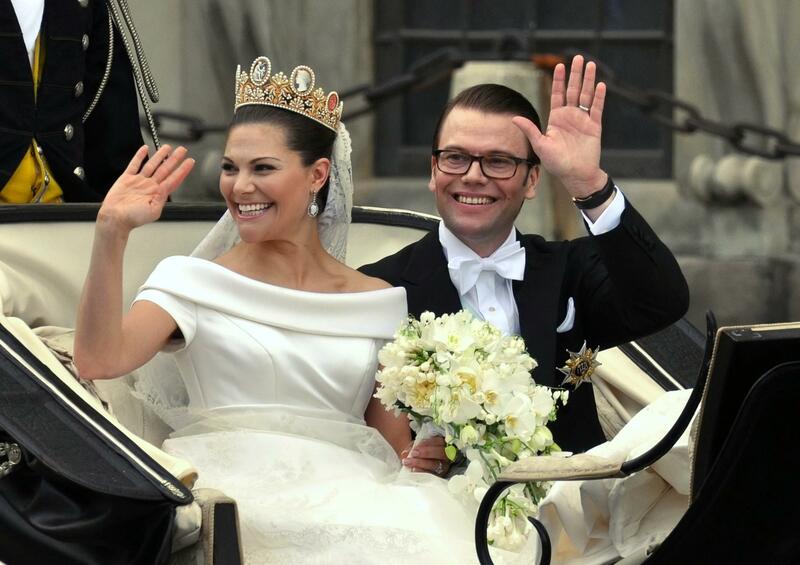 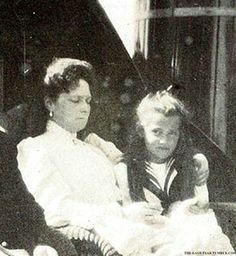 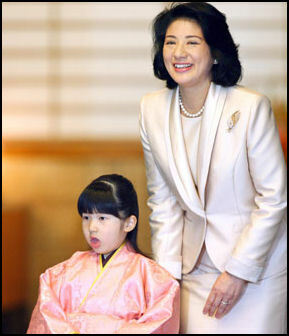 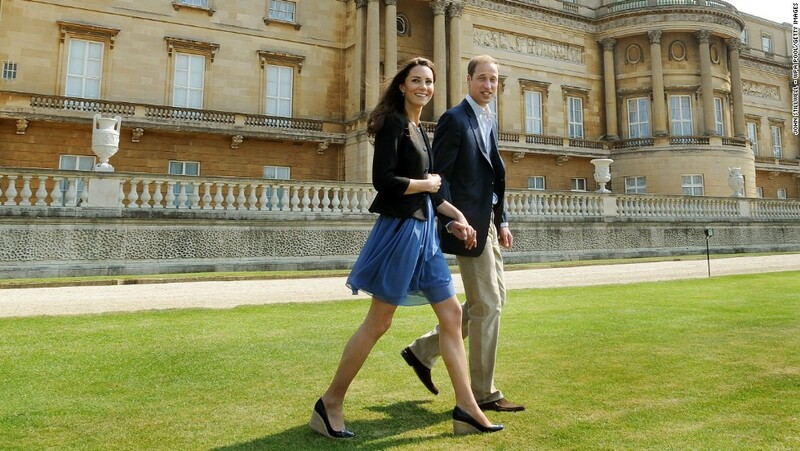 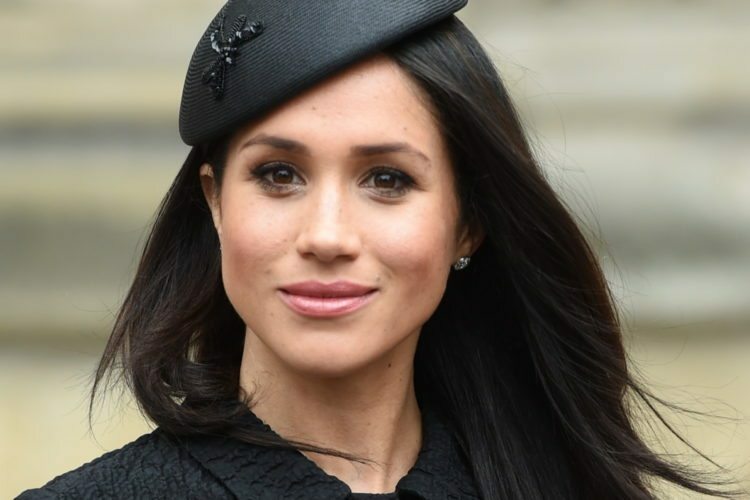 It was their first child after 8½ years of marriage for the 37 year-old princess and the 41-year-old prince. 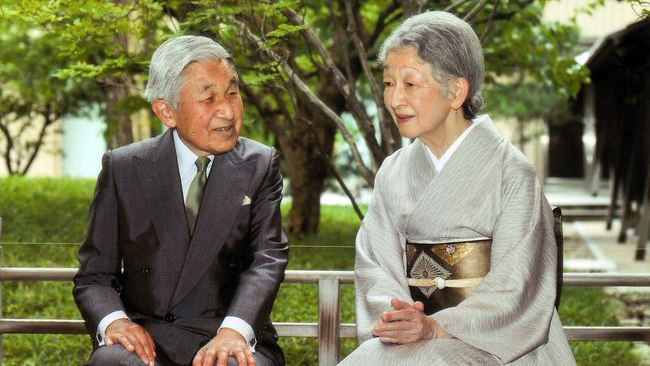 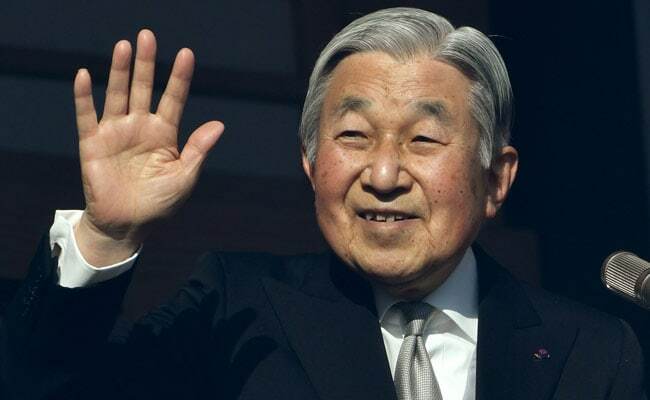 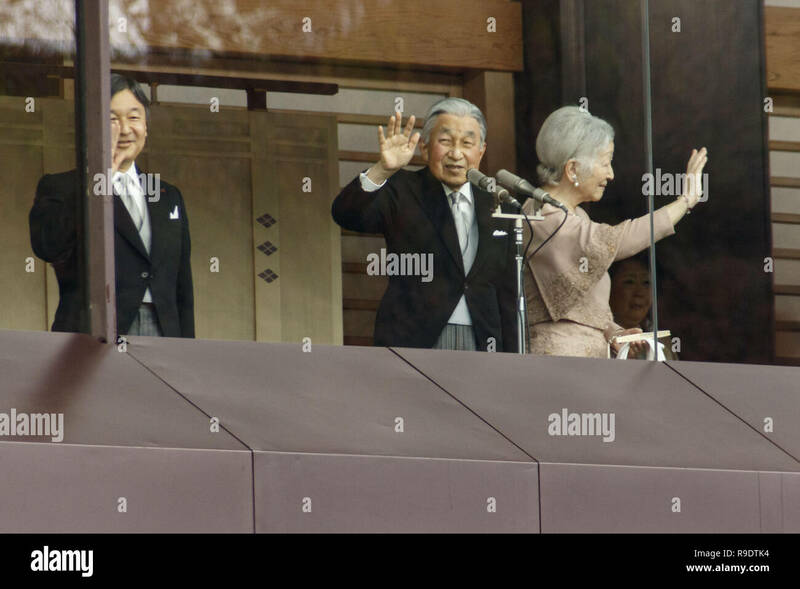 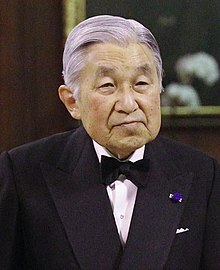 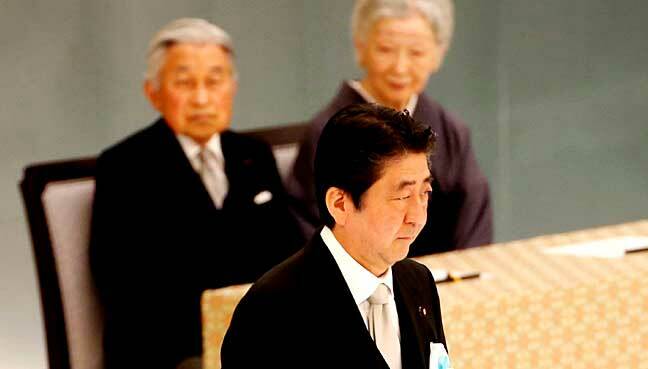 Japan's Emperor Akihito has marked his 85th birthday. 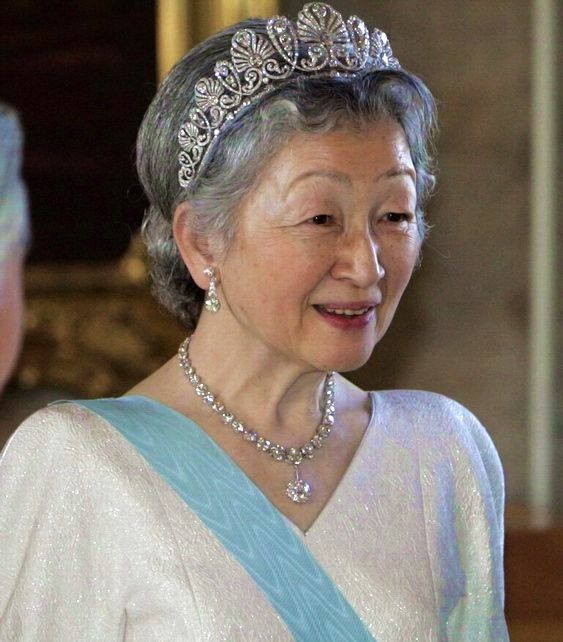 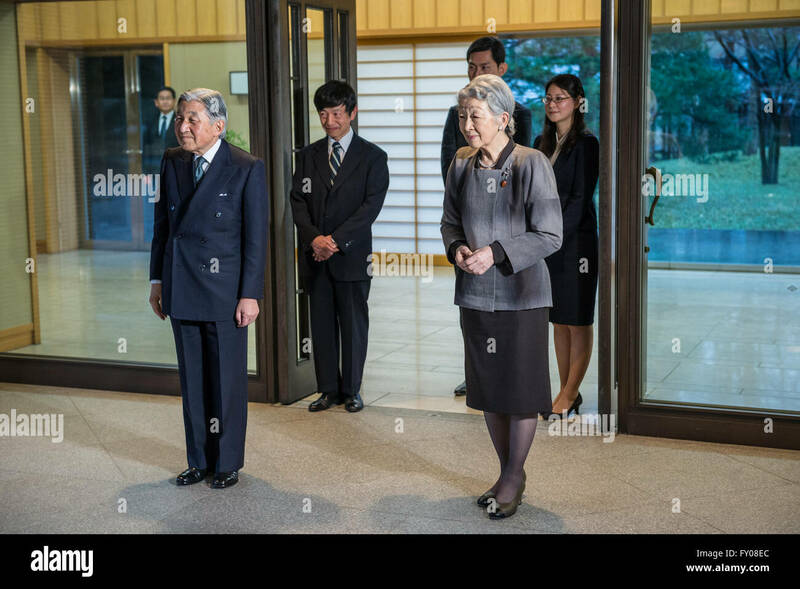 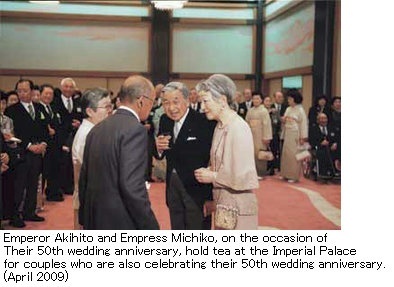 Empress Michiko, Empress consort of Emperor Akihito, wearing the Imperial Chrysanthemum Tiara, Japan (diamonds). 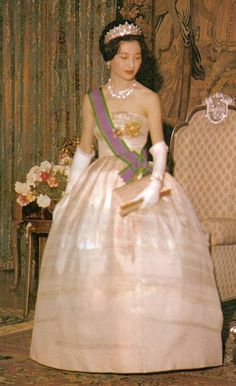 | Tiara-ific!